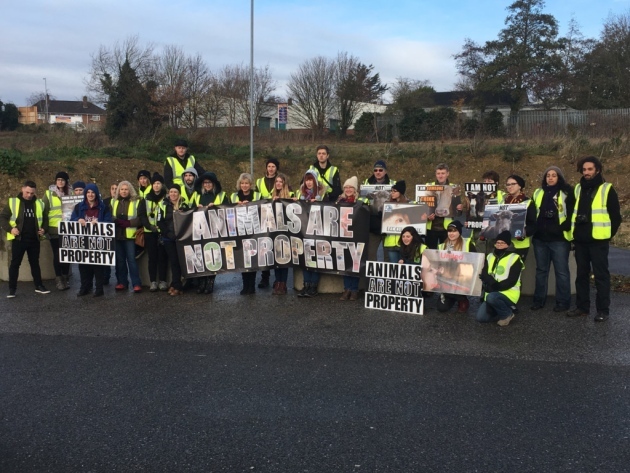 A group of animal rights activists have protested outside a livestock auction mart stopping vans loaded with sheep and cattle as they enter the market. Members of Norfolk and Suffolk Animal Save held a vigil at the event at Norwich Livestock Market in attempt to raise awareness “regarding auction houses and the cruelty that the animals are sold into”. 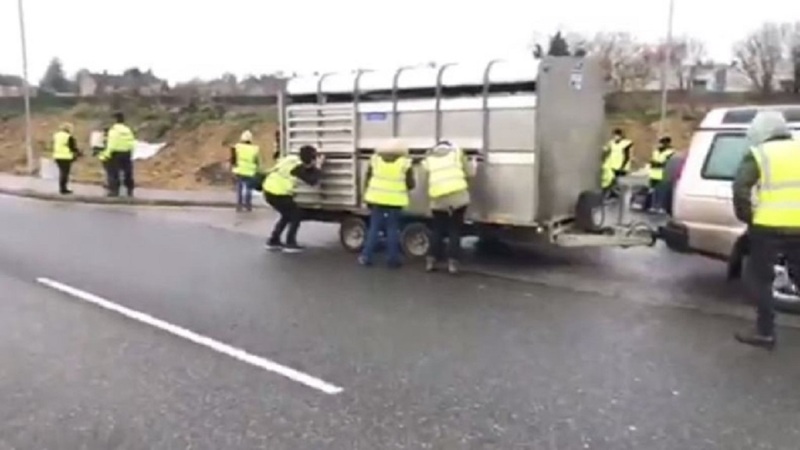 Protestors are temporarily stopping vans loaded with animals such as sheep and cattle as they enter the market, to “check the condition of the animals”. The protest has been organised by Tom Fenner and Emily Noble, who also lead protests at slaughterhouses in Watton and Suffolk. Around 30 people attended the first protest at Norwich Livestock Market and Mr Fenner said they would be there every four to six weeks. “We are here to bear witness to the animals as they are taken into the livestock market,” he told EDP. “What we are advocating is a vegan lifestyle without cruelty to animals. They are not property and shouldn’t be treated as commodities. Mr Fenner said they reached out to the police and the livestock market beforehand, and both have been “very accommodating”. “The key thing for me is this is on our doorstep and we should be doing something about it,” he added. “Why are people not outraged at the fact animals are being trawled across the country to be bought and sold then trawled form miles to be slaughtered for food that makes us ill? “We are in a society that is angled against us. The majority of the consumer public demands animal products. We are trying to tilt that balance. “We have had some good conversations with the farmers talking about how sending animals to slaughter makes them feel. They love their animals and we have been talking to them about transitioning to vegan businesses. That has had a mixed response but there has been no aggro. Chairman of Norwich Livestock Market Stephen Lutkin said they “fully respect” the point of view of the activists. “We know that the animals put through this market are well-handled and our fully-trained staff work hard to ensure animals are not stressed as they pass through the selling process,” he said. Penelope Lucas, press and publicity officer for the market, said there was “good cohesion” between the protestors and Norfolk Police. “It may be that the animal protesters need to start with the general public who buy the end product and not the smallholders,” she said.